Top Gun Tire will put together a quote based on your needs and your budget. 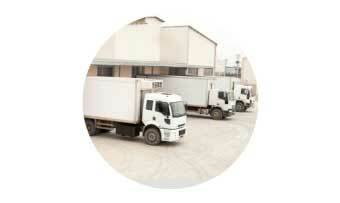 We will show you cost effective solutions to better manage your commercial fleet. Tire rotations, balancing, pressure checks and retreading are a few ways to maximize the life of your tires. Is proven to save you approximately 50% over the life of the retread vs. buying new tires. Michelin pre-mold, Oliver, Megamile are the industry leading retreads and Top Gun will install them the same day purchased. Call today for your retread quote! Included with retread purchase we will fix your flat tire until 25% tread remains at no charge (service call not included). The customer must drive to or meet up with mobile unit, maximum patch size ct10 radial boot. Manufactures warranty applies: full replacement during first 25% of tread life (service call not included). ‘Counteract balancing beads’ are the latest, smartest way to a smooth ride. These balancing beads will lower vibrations and make your drive more enjoyable. Not only are they a green alternative to traditional hammered on or glued lead weights, but they are safer. Based on our experience at least 50% of all weights eventually fall off due to normal wear and tear causing potential harm to your vehicle or other motorists. Top Gun Tire will give you an Estimated Time of Arrival (ETA) when you phone on a rush service call. Prices vary depending on your location in the greater Vancouver area. If we take longer than 2 hours getting there the service call is FREE . If tires or wheels are required for pick-up prior to the service call, add a extra hour. Top Gun Tire will advise you of future tire care that is required maintain and maximize the life of your tires. Call Top Gun Tire today to schedule a fleet check, which includes hammering of all tires, pressure checks, advice on rotations, proper mix of new tires and retreads, flat repair, hand torquing of all nuts, and what ever else you require to maintain your rolling assets.